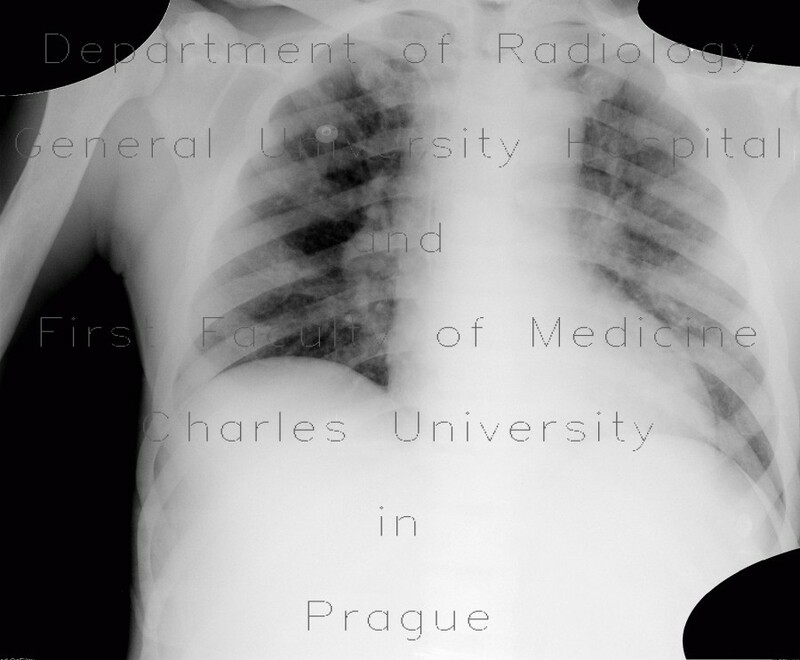 Chest radiograph in a patient with known myeloproliferative disorder showed increased density of all bony structures. This was cofirmed on CT, together with massive splenomegally, but no lymphadenopathy. Also, there is a faint spiral line in the periphery of the body on (on coronal reformations as multiple white dots), which is caused by a failed detector.